Clapping. Persistent and steady, it surrounded me on all sides as my teary eyes surveyed the tiers of Roy Thomson Hall. People swayed in rhythm, some singing along loudly. As I smiled at my brother and rested my head on his shoulder briefly, my heart lifted. 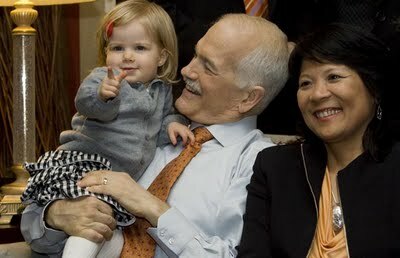 It was exactly what Jack Layton would have wanted: politicians, friends, family and the everyday citizens, getting together. 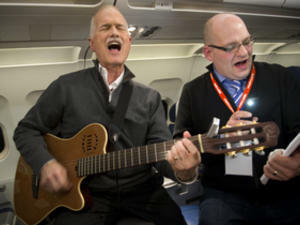 The news of Jack Layton’s passing came to me in a sleepy haze, as my fiance called me to ask why I hadn’t told him yet about Jack. My heart fell as I asked, “What news?” knowing damn well what it was, and yet refusing to speak of it. I’m not foolish; I watched my beloved Poppy die of cancer a few years ago, and read between the lines of Layton’s final press conference. I knew it was coming, but adamantly believed Jack’s vow to return to work in September, believed in his ability to beat the odds stacked against him. That was his greatest gift to me: the ability to persist in believing in a better Canada, no matter what punches I was expected to roll with in the bleak political climate marring city, province and country. 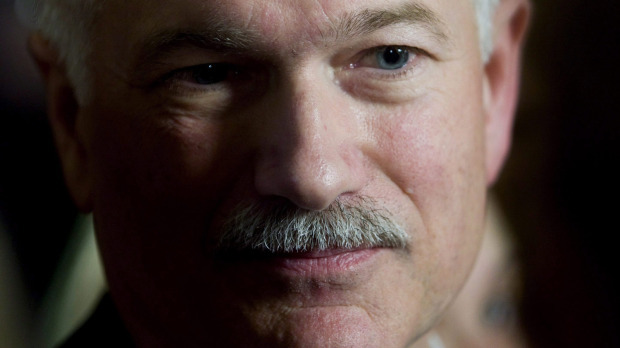 This was the power Jack Layton possessed: to unite us, not divide and subjugate us. 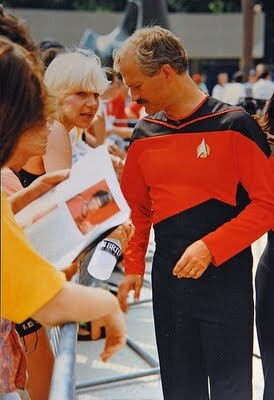 He was the shining example of what being Canadian means to me. Jack championed many causes that are important to me. 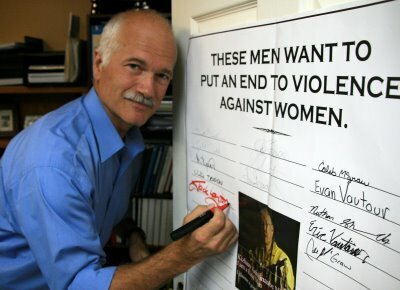 He gave us The White Ribbon Campaign, working to unite men against violence touching women’s lives. 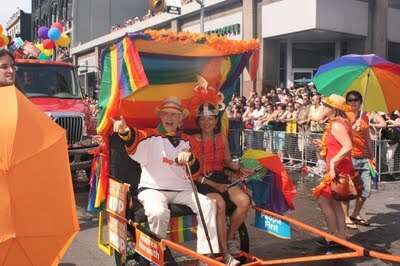 He joyfully embraced the LGBTQ community, participating in Pride events and advocating for their rights. 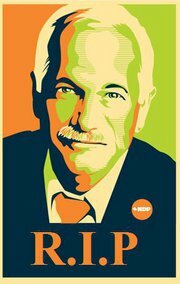 He took on the silence surrounding homelessness, demanded better support for those coping with AIDS, and sought better social system support for our elderly. He wanted students to be able to afford their educations, wanted better standards of living for the lower classes struggling to survive, and more action to preserve the environment. As a bisexual woman who lived in poverty as a child and now struggles to repay her student loan debt in any semblance of timely fashion, I felt understood by Jack. I felt included and heard. As an aspiring social worker, I hold these values as well. 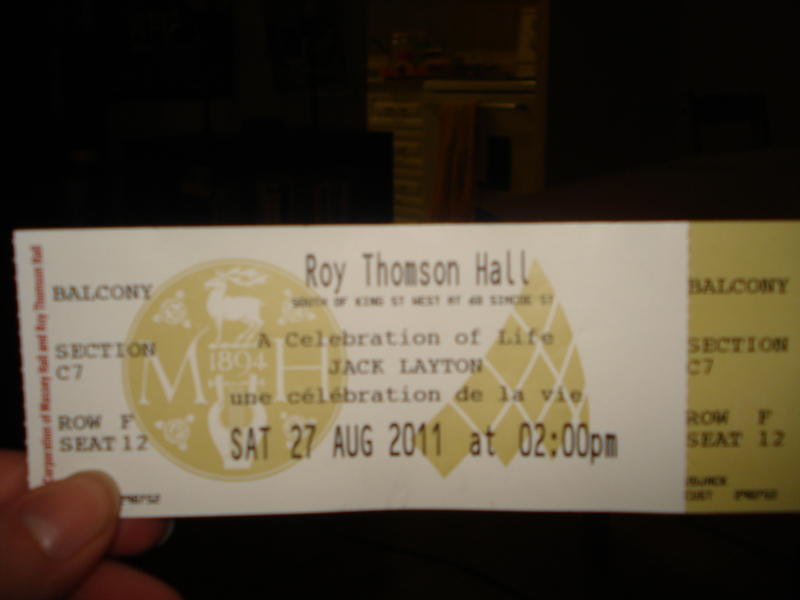 Attending the funeral – not just watching on TV, but being inside Roy Thomson Hall – felt necessary. In a sense, it seemed to be that meeting I had always longed to have. 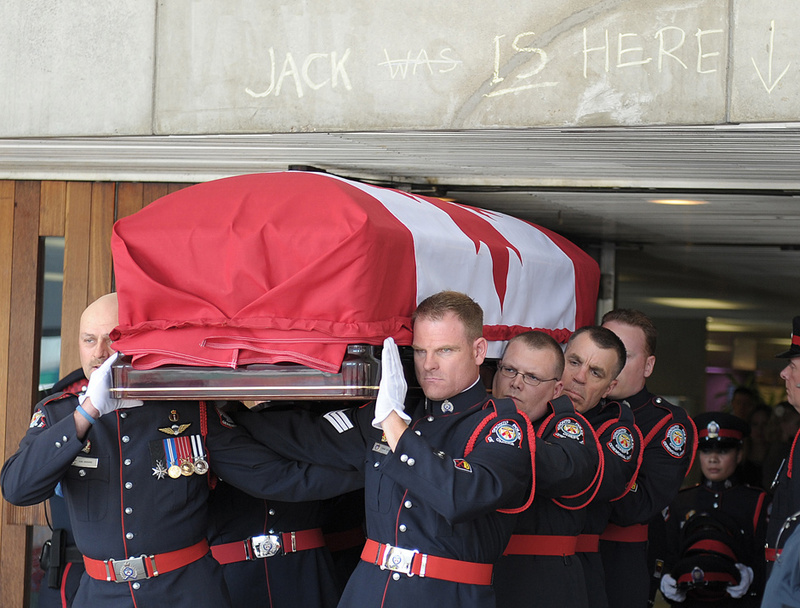 I wanted to say goodbye to Jack, surrounded by those of similar mind and heart. 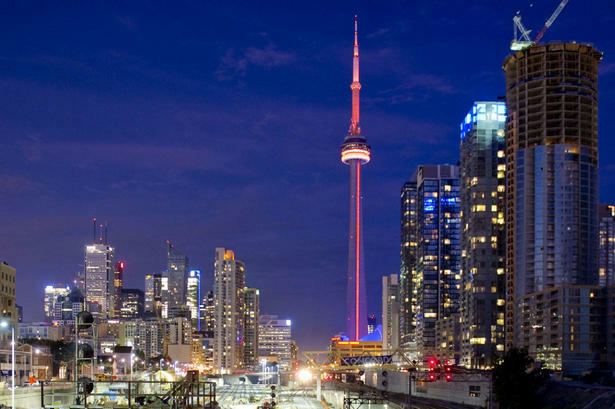 My little brother – the one I taught politics to around the kitchen table a decade ago – came with me Friday night as we descended upon Roy Thomson Hall, steeling ourselves against sleep deprivation. We arrived at 10:30pm, to a line about 50 people deep. As the night progressed, it grew, and a new little community was fostered. Brother and I made fast friends with three others in line, playing games and chattering throughout a sleepless night, while many others curled up in blankets, sleeping bags, tents and chairs to rest. Clubbing men and women repeatedly stopped to ask what we were waiting for. One man insulted us all, shouting, “What the hell is wrong with you? Do you not have homes? Why are so many in Canada living homeless like this?” When I informed him we were waiting for a beloved politician’s funeral, he sobered up and apologized, saying, “This is my first week here. I do not know of this man.” I felt sad that he would never know Jack. Media snapped photos. A friendly security officer chatted on his rounds, offering Oasis juice to anyone thirsty in line. Street sweeper vehicles came by so many times, polishing the look for the streaming video coverage to come. There were jaunts to Tim Horton’s at King and John, pizza ordered to the line, many digging into backpacks of rations. My brother and I clinked cans of Orange Crush. The sun began to rise, and the reporters arrived. Interviews began; I did three. I hear the CP24 one looked alright. 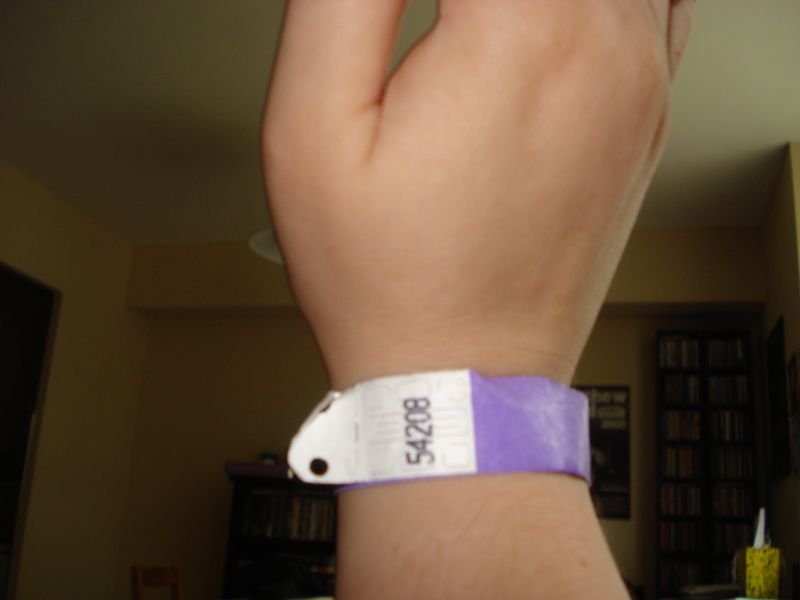 Wristbands came just before eight. We wondered why purple, not orange. Members of our new group came and went from the line, running home to change or out for breakfast. Throngs of people began milling about the square, many asking how long we’d waited and staring wide-eyed at our answer. 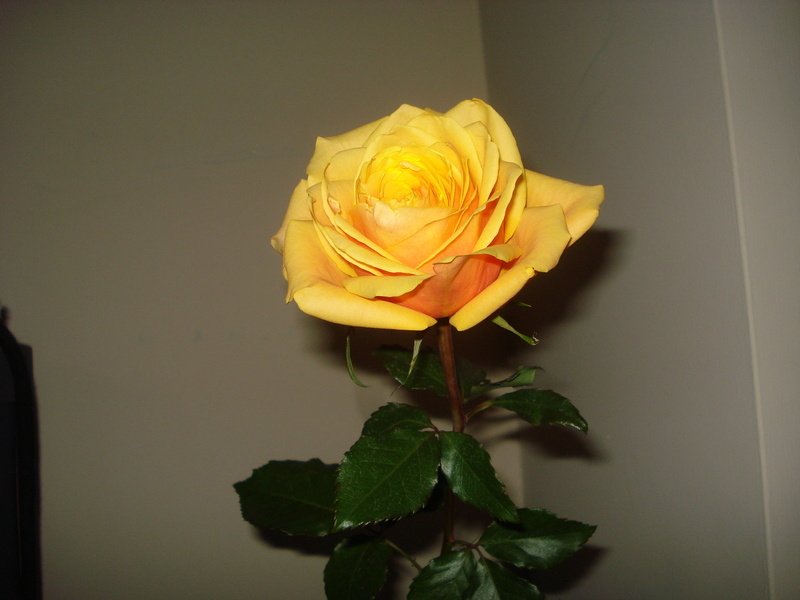 The Steelworkers’ Union gifted us with orange roses, that we clutched tightly. It was mostly beautiful and peaceful. There was a line jumper who shoved and threatened people to propel herself in front of us in the ticket queue, despite arriving just before 7 in the morning, then beaming at reporters complimenting her attire. There were people snapping photos and tweeting inside the hall as if it were a rock concert. These things seemed so baffling in the face of Layton’s spirit and message, but I decided in the end that Jack would want these people there, in hopes they would grow and love. Much came across as unusual to those watching at home, from the comments I read wearily last night, but to those of us inside, everything felt pitch-perfect. This was not a funeral; it was a celebration. The programs and tickets said so. The service felt balanced in all ways, which I appreciated immediately. The man, personal and political, was equally on display, through music and speech – and rightfully so, given it was a celebration of his entire life and his accomplishments. The three eulogies exemplify this: Stephen Lewis (English; political); Karl Belanger (French; straddling the line) and Mike & Sarah Layton (personal). Of four singing performances, two were more mournful or evocative of sorrow, two were meant to lift our hearts, and one was in French. All blessings were printed in English and French in the program. Religious readings were Aboriginal (my favourite), Christian, and Muslim in origin. Rev. Hawkes did a powerful job in his sermon, and while he did “get churchy”, as he quipped to laughter, it never felt like anything more than the loving words of a friend, remembering a man who was larger than life and down to earth all at once. More than merely a chance to grieve and say farewell, it was a reflection on the journey Layton took, and the path he’d intended us to travel – with him at our side. The service said, “It’s okay; you know where to go from here.” And we do. It could be felt in the singing, swaying, clapping masses in the balcony during Rise Up and Get Together. It was felt as the thunderous applause greeted each speech. It was outlined in chalk at City Hall (again) and the sidewalks along Roy Thomson Hall. The torch has been passed, Rev. Hawkes said. The masses happily accepted it. The energy within the walls of the home to many a Christmas event attended by Jack and Olivia was palpable, pulsing in the skin. There was union, as people wept almost simultaneously at the same moments, clapped at the same times. For those at home, it was hard to see that every thundering applause was a standing ovation, many beginning in the balcony and joined afterward by those in VIP areas. We stood as video screens displayed the casket’s departure from City Hall, and remained that way until it joined us on stage. And as his casket departed, I sensed that his spirit lingered, smiling and singing along. Jack loved to sing; I sang for him, as many did. I left feeling hopeful, happy in spite of my tears, clinging a can of Orange Crush which was in abundant supply at refreshment stations as we departed. My body was weary, but I didn’t mind it. I considered it his due, given how tirelessly he worked for all of us for decades. In the back pages of the program, there is lined space to write, allotted for us to make a promise, something we will do to change the world and make it better. I’ve given it much thought, and have yet to come up with anything eloquent. I know I plan to increase my involvement in local politics, to make even more time to benefit others and work with my community. I plan to work in support of ending violence against women, and fighting the bad turns our political landscape has taken. Perhaps “Be like Jack” would suffice.